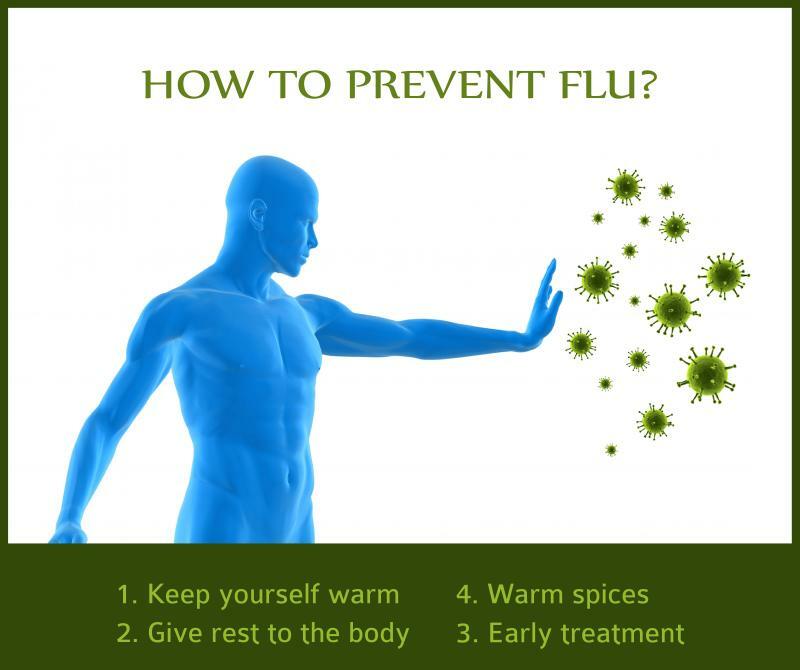 Home >>Blog >>Ayurvedic Treatments >>How to Prevent Flu? The change of season from autumn to winter comes with a phase of cold, cough, fever, flu and respiratory infections for a lot. So most of us are wondering how to prevent flu! Some of us have tried vaccines without any big difference. So first of let’s understand why these infections are happening! This cold season is quite favourable for microbes to grow and multiply. When the bacteria or virus are abundant they are strong enough to attack us and result into infection. But if we are healthy and have good immunity, we can prevent the infection and kill the microbes. Saying that, as the change of season itself is demanding for the body-the body has to change different metabolism to different modes to suit the new weather- microbes find it quite easier to attack even a comparatively healthy individual. That is why it is important to boost our immunity to prevent infections. As we all know it’s not possible to improve health and boost immunity by an overnight. It needs continuous care of body by eating properly and following the right lifestyle for your age and season. Still there are a few things we can do now that can help you to fight the microbes better. The body takes a lot of effort to maintain the internal temperature at 38 degree Celsius. Irrespective of outside temperature the body has to maintain this temperature to safeguard organs and carry out functions smoothly. The change of season from heat to cold is especially demanding as the body has to adjust the whole metabolism in a way that heat is preserved opposite to summer. So ensure you dress according to the season, and prevent direct exposure to wind and drought. Cover your ears as well if you are prone to ear, throat, sinus and/ or respiratory infections. Take shower/bath during daytime only as during night even a warm shower can easily cool your body afterwards. Dry your hairs thoroughly after washing. Applying a few drops of herbal oils on head before shower can help to prevent recurrent respiratory, ear or sinus infections. Also take care of your food, prefer only warm food and drinks, and at least avoid anything cold or frozen. Use of warm spices can help to keep body warm and fight against microbes. Ginger, turmeric, black pepper, basil, cumin, mustard, fenugreek, clove, cinnamon, etc can help to improve metabolism and fight microbes. Even though some of these spices are neither warm nor cold, they have high antimicrobial properties. You may make a tea, add to your food or extract juice and drink with honey. Remember to be moderate with spices, as overuse can imbalance the body and give negative results. Around half teaspoon of per day is a reasonable amount to help you without any negative results. Nothing can replace giving rest to the body when tired. Rest becomes essential especially when infection has just begun. Even if you are not 100% healthy, giving rest at this time can save a lot of suffering and sick leaves later. Remember, rest includes wise use of gadgets and break from exercise as well. Even though it’s not a wise decision to jump to antibiotics whenever you begin to feel sick, trying home remedies from the very first symptom of tiredness or head ache can help you a lot. Honey and lemon juice: Mix equal amount and take one teaspoon three times a day for initial symptoms of fever, flu/respiratory infection. Basil juice with honey: Squeeze basil leaves and extract juice and add equal amount of honey and drink three times a day for initial symptoms of fever, flu/respiratory infection. Make tea by boiling fresh ginger, basil and a pinch of black pepper. Drink warm frequently. Very effective even for a moderate fever. But make sure you seek help from a professional immediately if the symptoms are increasing, or you have other diseases. There are a few things that can help to avoid seasonal diseases and infections, like having a healthy lifestyle and following seasonal regimes (read more about seasonal regimes here ). If you are not feeling generally healthy, improving your metabolism with Ayurvedic herbs and/or detox is also important.